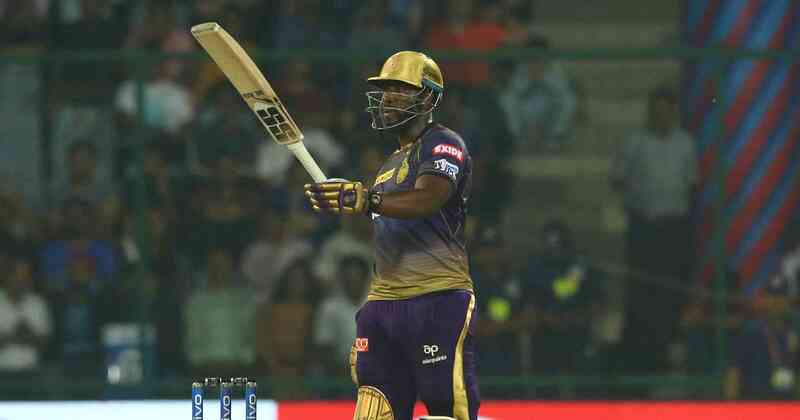 The former champions have been over-reliant on Andre Russell to bail them out but the law of averages was going to catch up with KKR at some point. Through most of the first half of this season’s Indian Premier League, Kolkata Knight Riders maintained their spot in the top two of the points table. 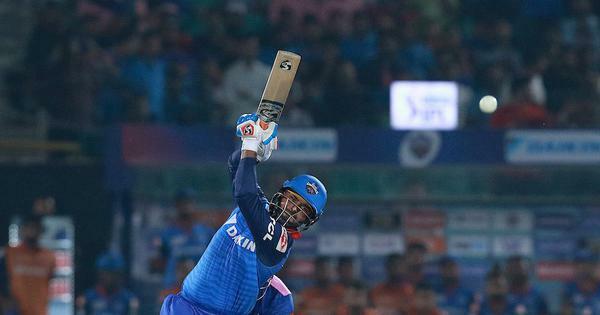 However, their five-wicket loss to Chennai Super Kings on Sunday, followed by Delhi Capitals’ 39-run victory over Sunrisers Hyderabad, has seen Dinesh Karthik’s side slip to third position. Interestingly, Kolkata’s four losses this season have only come at the hands of the two teams that are ahead of them on the table – Chennai and Delhi. This slide by KKR only seems natural, though. As does the fact that they’ve lost the last three games that they’ve played – two to CSK and one to DC. In fact, the only odd bit about the Knight Riders’ campaign has been their absence from the bottom half of the table. And that’s been possible due to one man and one man only – Andre Russell. The West Indian has been nothing less than a miracle worker for the men in purple. After batting seven times in the tournament so far, the Jamaican has got 312 runs with an average of 78 and a strike-rate of 214. More importantly, his contributions to three out of Kolkata’s four victories have been otherworldly. Russell scored a 19-ball 49 against Delhi, a 17-ball 48 against Kings XI Punjab, and a 13-ball 48 against Royal Challengers Bangalore. Such consistency, in high pressure situations, is out of the ordinary. Remove these performances and KKR would most certainly have lost each time. And the only KKR victory [against Rajasthan Royals] in which Russell didn’t receive the Player of the Match award was one where he didn’t get to bat. The law of averages, though, had to catch up with the Knight Riders at some point. Russell’s impact was bound to fall short eventually. The all-rounder hasn’t lost his touch yet, he has scored a 45 and an unbeaten 50 over the last three games, but that didn’t lead to his team stealing a victory in any of those matches. Against Chennai on Sunday, Kolkata got to 161/8 batting first at Eden Gardens. Opener Chris Lynn scored a solid 82 off 51 balls but it was a below-par total on a high-scoring ground. The impetus at the end was, of course, denied due to Russell getting out for just 10 runs. Leg-spinner Imran Tahir was the wrecker-in-chief for CSK. The 40-year-old achieved career-best figures of 4/27, breaking KKR’s back by removing both Lynn and Russell in the 15th over. Although Kolkata managed to take five wickets and made regular inroads with the ball, Chennai chased down the target in 19.4 overs thanks to an unbeaten 58 off 42 from vice-captain Suresh Raina. 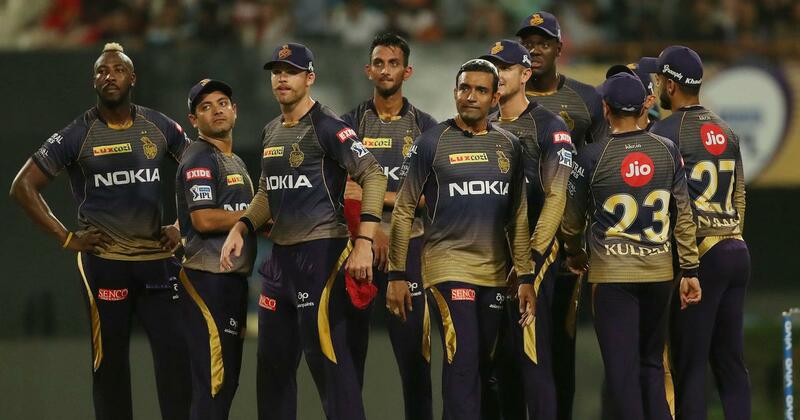 “We’ve played five games in nine days and the guys are pretty tired mentally,” KKR coach Jacques Kallis said at the post-match press conference. Kalllis may attribute Kolkata’s slump to fatigue but their problems seem more deep-rooted. One of the biggest of them has to be the indifferent form of captain Karthik. The wicketkeeper-batsman was in serious contention for a berth in India’s World Cup squad, which will be announced later on Monday, at the start of this year’s IPL. However, a mere 111 runs from seven innings has all but ruled him out of the race. Karthik has an important role with the bat for the Knight Riders. Apart from being the team’s skipper, he is also their most accomplished player. Russell is in the side to provide the flourish at the end of the innings, but it is Karthik’s job to hold the middle order together. But the 33-year-old has managed just one half-century this season, with his second highest score being 19. Another major concern for the two-time champions is the contribution from the rest of their middle order – Nitish Rana, Robin Uthappa and Shubman Gill. Rana started the tournament with a bang, scoring 68 and 63 in his first two innings. But the left-hander has gone off the boil ever since, scoring just 70 runs from five outings. Uthappa, too, got an unbeaten 67 in the second game, but has failed to get another big one and scored mostly 20s and 30s. Lastly, Gill has been the most perplexing bit about Kolkata’s batting order. The supremely talented right-hander, who starred in India’s Under-19 World Cup triumph last year, has been used as a finisher in most of the matches. Now, the 19-year-old doesn’t have the strongest built and relies on classical strokeplay to accumulate runs. Expecting him to summon brute force and finish off innings is rather baffling, to put it mildly. His highest score this season has been 65 with the second best being 18 not out. Gill has batted lower down the order in most of Kolkata’s eight matches so far at the following positions: 6, DNB, 6, 7, 4, 6, 2, 7. There’s a clear confusion within the KKR camp on how to use Gill. Perhaps, sending someone like Uthappa, who has the explosiveness required, down the order and using Gill somewhere at the top will be more fruitful for the team. In the bowling department, the most worrying factor has to be Kuldeep Yadav’s form. And this, of course, is a concern for Team India, too, with the World Cup round the corner. The left-arm spinner has picked three wickets so far in the tournament. Yes, just three. His economy-rate of 7.82 isn’t the worst but his average of 75.66 is shocking. With their best spinner being a shadow of himself, the Knight Riders have struggled to contain batsmen in the middle overs. Russell has been hampered by pain in his wrist through the campaign, and he also walked off the field on Sunday with discomfort from a leg injury he picked up in the previous game. The West Indian’s contribution in Kolkata’s success this season is hard to quantify, with him single-handedly clinching matches for his side. But if he fails to pull off any more great escapes going forward, things could spiral out of control for the Knight Riders. Karthik and Co need more match-winners, and they certainly have them in their ranks.